These are some of the causes nearest to my heart. Join me in supporting them and cheering them on as they go for the gold in their own journeys! In May of 2018, I had the opportunity to serve at Christ the Center Ministries nursery and primary school, Gulu, Uganda. My life was greatly impacted and the children of Gulu captured my heart. 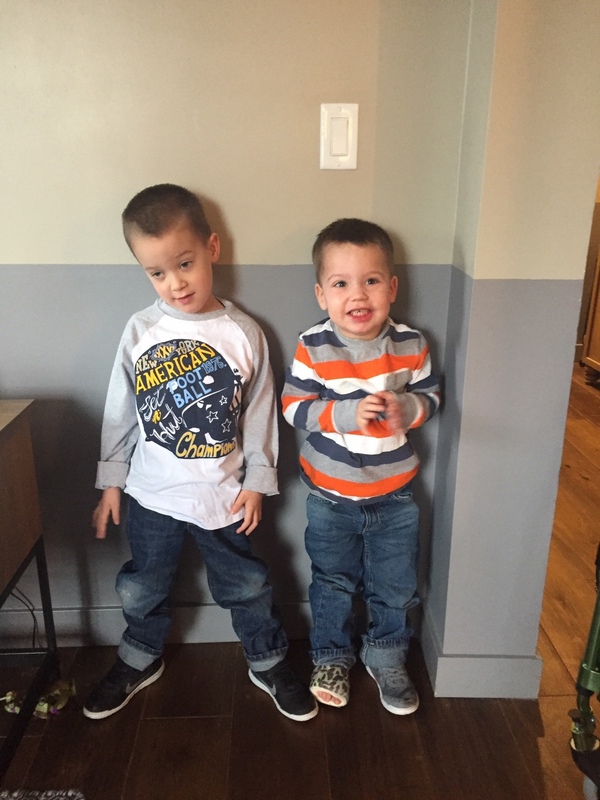 Parker and Lane are growing stronger and progressing everyday! Please consider partnering with the Foundation, and with us as we navigate this unexpected journey, as a family unit. "Olympians and Paralympians have so much knowledge to offer. They are not only amazing athletes who become masters of their tasks, but they often times overcome significant obstacles to reach their goals. Athletes who volunteer to become a Classroom Champions Athlete Mentor become heroes amongst our teachers and students simply because they take the time to pass down the knowledge they have learned after so many ups and downs during their careers." Find participating schools and athletes on their interactive map! The Give It Back Foundation provides the ideal platform for to give back the world class knowledge of volleyball and life skills that have been shared with me over the years to further grow the sport I love AND support amazing organizations. I am thrilled that our inaugural camp was a success, and I look forward to working alongside of my dearest friends and teammates in our future events. Our hope is to leave a lasting legacy for generations to come. The We Serve First Foundation financially assists volleyball families who have encountered financial difficulty due to a family crisis and provides their child with an opportunity to play club volleyball or attend a camp. Courtney, Clairissa, Rachel and Morgan- all given opportunities because of the we serve first foundation. read more of their stories!